The restaurant industry was a driving force behind the nation’s recovery from the Great Recession. Not only are restaurants leaders in total job growth, they’re also adding middle class jobs at a stronger rate than the overall economy. During the Great Recession, that rate was four times more than the overall economy. 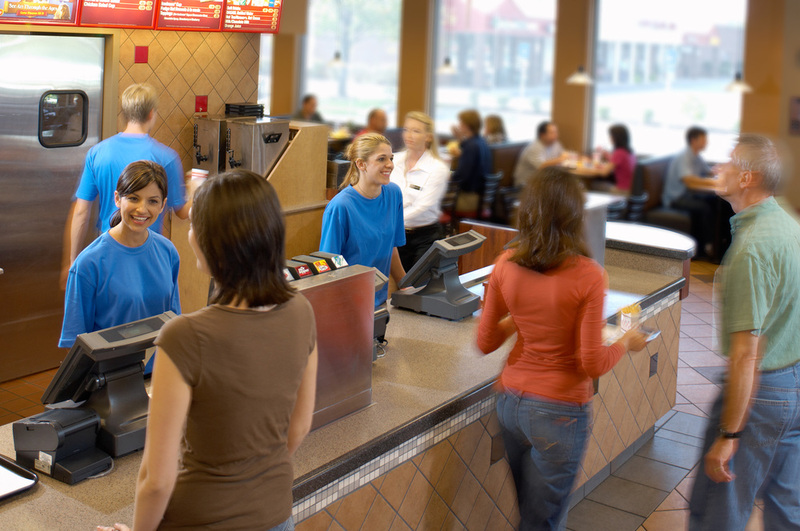 The bad news: Restaurant turnover is trending up. The good news: Current turnover is relatively low, compared to record highs before the economic downturn. The competition for employees intensifies as the economy improves. More than one in four operators say they have difficult-to-fill job openings. The biggest challenge? Finding applicants for back-of-the-house. Restaurants provide unparalleled opportunities for people of all backgrounds to own their own businesses. The number of women-owned restaurant businesses is growing at a faster rate than the overall economy, as is the number of Hispanic-, African-American-, and Asian-owned operations. #5: There’s money in the banana stand. And jobs, apparently. Coffee, doughnut and ice cream shops are fueling more than commuters and snack attacks. The snack-and-nonalcoholic-beverage-bar segment is had the industry's highest job growth last year. 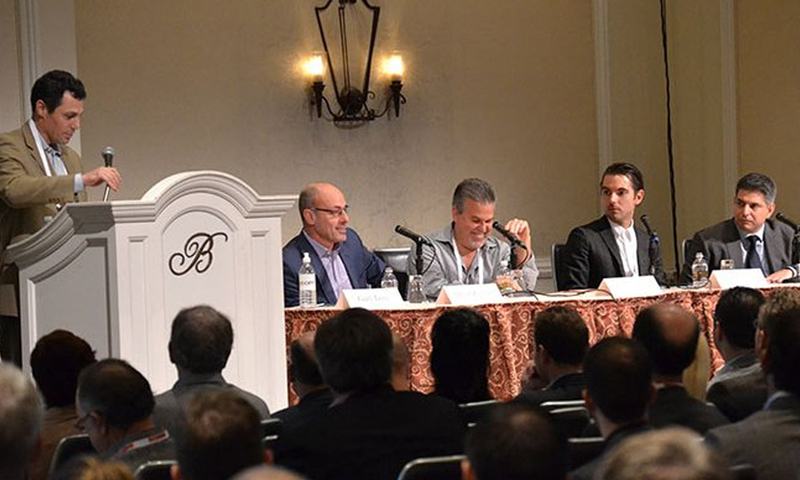 LAS VEGAS, Nov. 9, 2015 /PRNewswire/ -- IQ BackOffice President and CEO, David Schnitt, at the Restaurant Finance & Development Conference in Las Vegas, NV today discussed the "growing trends, challenges and opportunities" facing the industry in 2016 and beyond. The Restaurant Finance & Development Conference, is one of the nation's largest annual gatherings of restaurant industry operators, management specialists, financial, legal and regulatory experts. IQ BackOffice, a leading global accounting and human resources outsourcer, headquartered in El Segundo, CA will be displaying, sharing and presenting their views on the 2016 trends and challenges facing the industry and the solutions, tools and options that can be utilized to meet them. "The nation's restaurant industry, an important contributor to the health of the American economy, is facing a 'perfect storm' heading into 2016 of opportunities and challenges, said David Schnitt, President and CEO of IQ BackOffice. "Restaurant operators are presented with an environment that will require the efficient management of a changing labor market with narrowing margins and growing regulatory pressures – while still needing to achieve growth, profit and scale." Focus on Cost Efficiencies and Changing Labor Market. With companies pressed in terms of labor costs, along with increased wages and a lack of employees to fill critical jobs, it's imperative for companies to find ways to reduce costs. Restaurants should look to leverage solutions that collate costs around food and labor—generally two-thirds of a restaurant's total spending—so that owners and operators can better handle and understand all of the costs that are within their control. Leverage Internet Based Analytics and Insights to Deliver Margins. Under tight margins, managing finances needs to be an exact science. Restaurants need to gain more insight into where particular costs are and where they need to target their spending. Fine-tuning information at a more granular level provides restaurant owners with the solutions needed to make strategic, educated financial decisions—all at a lower cost. Deliver Growth and Scale. Even under cost pressures, growth is still possible, but restaurants must efficiently manage growth and scale options at a low cost. Restaurant owners need to realize their financial state holistically to set the right trajectory for profitable growth. For more information, please visit IQ BackOffice onsite at Booth 620. About IQ BackOffice IQ BackOffice is a global leader in business process outsourcing, delivering customized solutions for its clients and boasting 99.97% quality and up to 68% cost savings. By reengineering existing processes such as accounts payable, accounts receivable, payroll and human resources, IQ BackOffice reduces costs, enables better decision-making and creates stronger financial controls. Clients range from mid-sized to multi-billion dollar private and public companies, across industries such as restaurant and hospitality, real estate and property management, manufacturing and distribution, telecommunications, utilities, energy, financial services, professional services and others. IQ BackOffice is majority-owned by LiveIt Investments Limited, the holding company for Ayala Corporation's investments in the business process outsourcing sector. Ayala was established in 1834 and is one of the leading conglomerates in the Philippines. For more information about IQ BackOffice's wide range of services, please visit http://www.iqbackoffice.com/.